I have fallen head over heels in love with this month's Bellabox! Whilst the February Loved Up box might look a little lean on the number of products, it is packed with gorgeous and practical range of cosmetics, skincare and products to pamper yourself with. Palmer's Multi-Effect Perfecting Oil (1ml) Palmer's Multi-Effect Perfecting Facial Oil blends pure cocoa butter with nine anti-ageing oils that aim to keep the skin looking healthy, radiant and more youthful. As the oil contains retinol (vitamin A) which can create sensitivity to sunlight I tend to use this product when I know I'm not going to be out in the sun or the elements. When I said that there was something for everyone in this months Bellabox, this is one of the products I had in mind. I've used it a a few times and I really could not speak more highly of this product if I tried. My face gets a beating from the elements, and with this cream I've noticed a positive difference in my complexion. This cream is ideal for all skin types, is incredibly light, and it activates collagen synthesis and reduces the appearance of wrinkles. The Anti-Ageing mask features Centella, which stimulates collagen production and increases elasticity for smoother skin. One thing I wonder about sheet masks is about the impact on the environment which I was delighted to read that this mask are environmentally friendly biodegradable bio-Cellulose masks, made from natural fibres, allowing for greater moisture retention and penetration of ingredients. Everyone will be receiving one makeup product from Paris-born beauty guru, Manna Kadar in their box this month. There’s the Paradise Pearlised Blush, Chic Highlighting Powder, First Class Eyeshadow, and the 3-in-1 Blush Eyeshadow Highlighter. I received the First Class Eyeshadow, it is a highly pigmented, classy browny-pink eyeshadow, perfect for creating a softer smokey eye. I have found it to be lightweight and easy to apply for a natural or not so natural look. Original Source are known for producing delicious fragrances that smell good enough to eat, these lush shower milks from Original Source feature vegan milk extracts (from plants) to soften, cleanse and nourish the skin. I received Sweet Apple and Vanilla Milk which is a little sweet for my own preference however I do have some girlfriends who I know would just adore this scent. I'm a big fan of sachet samples that are single use and I also have a soft spot for BB creams. Even though this is just 1 sachet this is certainly going into my gym bag! This BB Crème Skin Perfector comes in light/medium and is rather talented as it’s a primer, tinted moisturiser, SPF15 sunscreen and skin perfector that minimises pigmentation and brightens the skin. To sum up what I think of the February box in five words "something extra special for everyone ". I wonder what they in store for us next month? 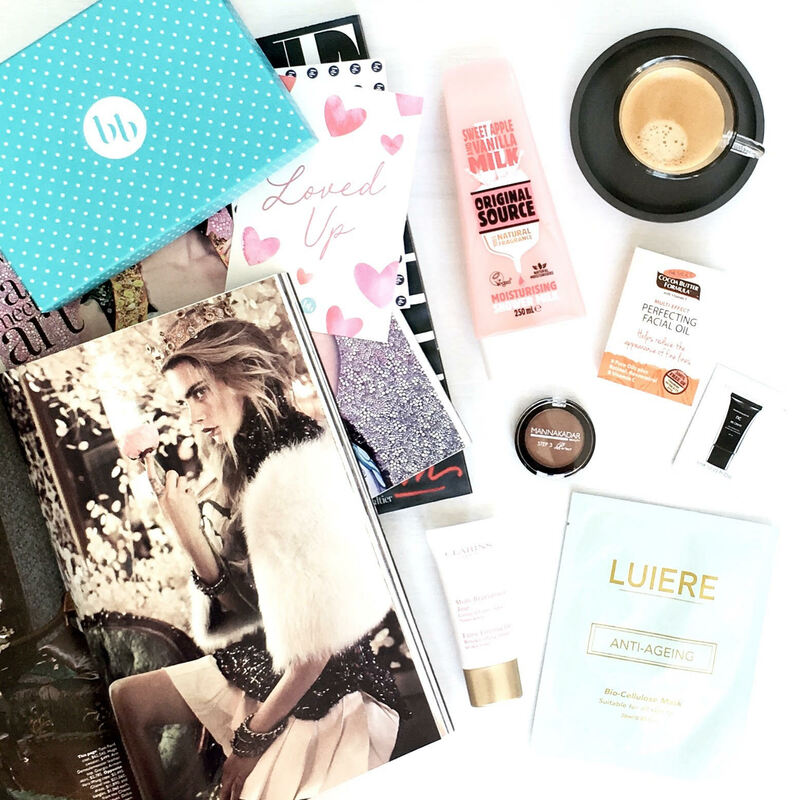 For further information about the contents of the February 2018 Bellabox visit the Bellabox Blog.